Popcorn Time! is the result of many developers and designers putting a bunch of APIs together to make the experience of watching torrent movies as simple as possible. The new and improved Popcorn Time allows you to watch movies and TV shows online for free, in HD or SD with subtitles. Now also available for Android. We are an open source project. We are from all over the world. We love our movies. And boy, do we love popcorn. You can now drag and drop subtitles (.srt files) on the player to load them. This means you can now drag and drop an external torrent, and an external subtitles to stream it on Popcorn Time. Last time, we added a "watched" icon on an episode you've played, and now we add the possibility to manually set a video as watched, so you can easily update you progression. And we didn't forget our power users. 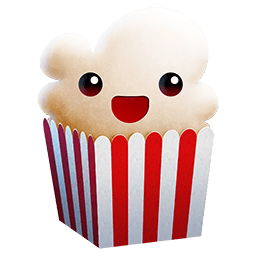 It has been a request since we took over the project and with Popcorn Time beta 3.1, you have the option to keep the downloaded files after you quit Popcorn Time. Files are not shared over P2P after you watch it. One more thing...work on the Android app is under way!